Markings – Track Line B.V.
Good road markings act like an extra pair of eyes en route. They help motorists to get home quickly and safely, whatever the weather conditions. 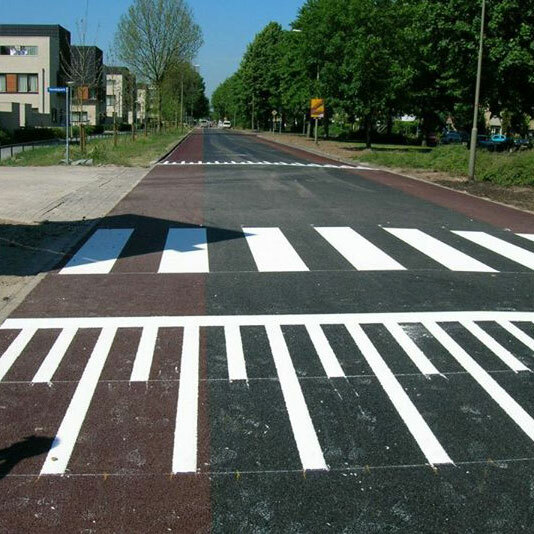 To work properly, road markings need to be of impeccable quality. They need to be highly visible, long-lasting and offer good non-skid properties. Whatever the location or road surface, Track Line will always make every effort to ensure these criteria are met. We have over 14 years of specialist experience in the application of markings and graphics using a wide range of materials: from cold plastic, thermoplastic and component paints to prefab marking.